Filled with pride but overwhelmed by the demands on her empty wallet, Alycia accepted the loan reluctantly. In her mid-40s, with several mouths to feed at home and a job that barely paid the bills -let alone put food on the table – she had simply run out of options. 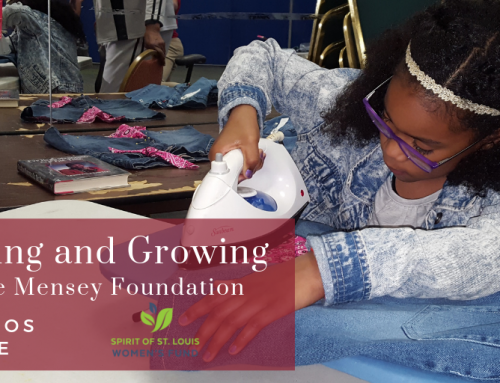 The money came from a micro-lending program that had been set up by the Midtown Mamas, a social group that ran a food pantry and other programs out of a church basement in the Forest Park Southeast neighborhood of St. Louis. Alycia was determined to pay the loan back, and over time, she did – all but $107 of it. Then a family member fell ill. Without explanation, Alycia disconnected from those who helped her. Two years went by without word from Alycia. The Mamas put together a care package one Christmas, as a way to check in. More time passed. Bobbie Sykes, one of the founding Midtown Mamas, remembers it well, not because the woman disappeared – that made sense – but because of what happened next. One random day, after three years of silence, the woman walked into the church basement with $107 cash in hand. Sykes welcomed her back with a hug. “I told her anytime she needed us, we were there for her,” Sykes recalled. See, Sykes understood something about this woman – something she believes is common among most who are struggling to regain their footing, financially or otherwise. “They may not have a 9-to-5 job, but the one thing they do have is their word,” Sykes, 67, said. In other words, most people want help, not handouts – and empathy, not pity. They can’t do anything with a “tsk tsk”. But give them the tools, and they’ll strive for success. 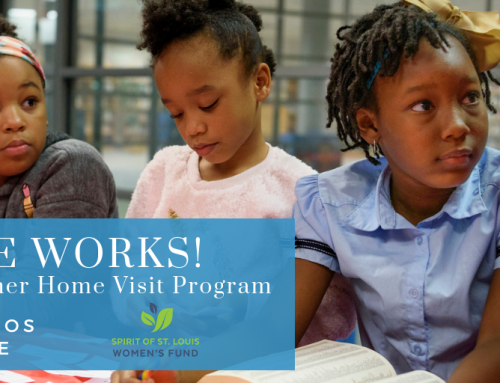 It’s that faith in people’s innate desire to do better for themselves that drives the Midtown Mamas and also the City Greens Market – the outgrowth of their early food pantry efforts, and now its own nonprofit. distribution but also old-fashioned, in the way it embodies Midtown Mamas’ early mission and brings people together over the promise of a good meal. 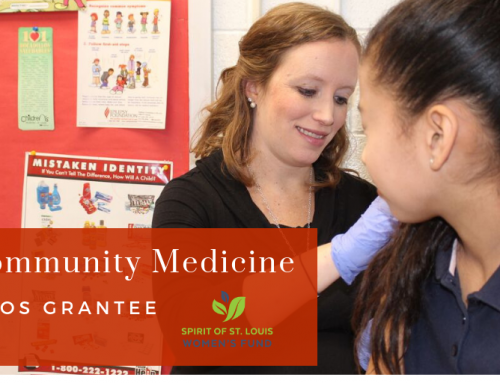 One of St. Louis’ few nonprofit community grocery stores, the market sits along the bustling and hip stretch of Manchester Avenue known as The Grove, in the commercial center of the Forest Park Southeast neighborhood. From the outside, the market looks like a smaller version of a Whole Foods or Trader Joe’s. 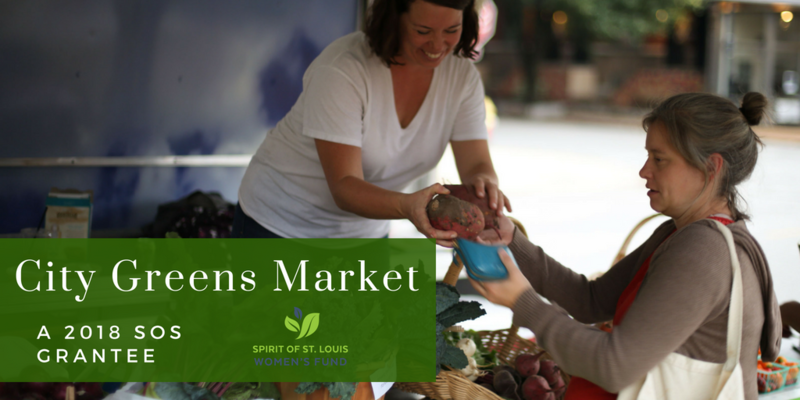 But the City Greens Market, a 2018 Spirit of St. Louis Women’s Fund grantee, is purposefully different from those food enterprises. The goal of the market is to provide fresh, affordable food to a region formally declared a “food desert” by the U.S. Department of Agriculture – areas where inexpensive and nutritious food is geographically out of reach, particularly for those without an automobile. The market’s food is locally grown and produced, coming almost exclusively from Missouri and Illinois farmers, and it is sold “at cost” – if the farmer sells a carrot to the market for $1, the market sells it to the consumer for $1, no markups. Sustaining this is a yearly membership fee offered on a sliding scale, based on income level. It is a financial model that might not work everywhere, but pairs perfectly with the rapid gentrification of this up-and-coming city neighborhood. As a result, anybody with a couple shopping bags can have access to quality produce that has been ethically and sustainably grown. And there’s no shame at the cash register, because everybody is paying the same price per item. “We’re working against a culture that moves fast, that tries to make everything easy,” she said. The market recognizes that “easy” comes at a cost. Processed food, higher prices, local farmers feeling the squeeze of mass production – these are things that have hidden, long-term effects on society and culture. The City Greens Market is instead trying to build a better future, one shopping bag at a time. The latest venture, paid for in part by a $24,000 SOS grant, is a mobile food truck that steers into other low income neighborhoods, offering food to the elderly and others who have trouble getting from their home to a grocery store. Like the produce on its shelves, the idea for City Greens Market grew organically. About 10 years ago, the Midtown Mamas were contemplating ways to bring healthier options to the neighborhood. Several Mamas had grown up in the rural South, where culinary traditions run deep and the dance of growing, gathering and preparing your own food was a part of the daily rhythm. They not only missed the dance, but lamented the difficulties of living in a “food desert”. Going to the grocery store meant lugging heavy bags by foot and by bus. Even then, the aisles were filled with a lot of junk food. To buy fresh produce meant spending more than you could afford. The ladies didn’t have the numbers to prove it, but they saw a clear link between the quality of food available and the health and social problems that threatened their neighborhood. 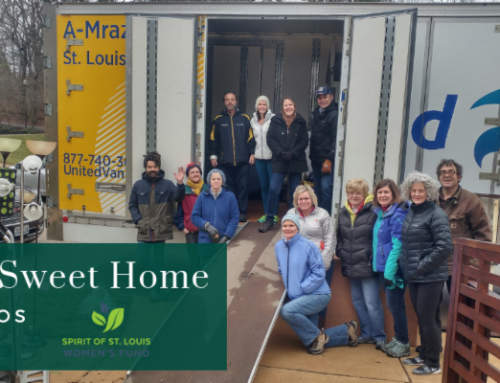 From the basement of the old St. Cronan school, which is now Midtown Community Services, the Mamas started offering CSA boxes filled with fresh produce to about 30 neighborhood families. Midtown was at the time a part of Catholic Charities, which provided a grant that allowed them to sell $30 boxes for just $3.50 a piece. The boxes were wildly popular. But the Mamas soon realized it would take more to help their neighbors put healthy food on the table consistently. For one, people didn’t always know what to do with the boxes. “A lot of them had never seen these kinds of vegetables before,” Sykes recalled. There was a lot of waste, and some people stopped participating in the program. The Mamas recalled that old proverb – teach them to fish, don’t just give them fish. They decided to change their model. A farmers market was born, where the Mamas arranged for an array of fresh and local produce to be delivered weekly to the church. Twice weekly, people could pick out what they wanted. There was an educational and social component, with cooking classes and gatherings that harkened to that Southern culinary tradition. Sykes said the then director of Midtown Community Services, John Pachak, was instrumental in obtaining grants that went to a number of their efforts, including the mobile food truck. Over time, the Mamas started seeing a change in attitudes and practices. People who wouldn’t even think of trying kohlrabi, which is a close cousin of cabbage, all of a sudden were munching on the vegetable in wraps and casseroles – even if they didn’t know they were. “People would say ‘Oh, I don’t eat this and I don’t eat that’ and I’d just sit there and smile and say ‘Oh yes you do! '” Sykes said, chuckling. Sykes herself learned all sorts of ways to sneak greens into wraps. After awhile, she didn’t have to add veggies on the sly. People would ask for her recipes, and seek out other inventive ways to incorporate healthy options into their meals. The key ingredients for a successful, sustainable low-income market were now in place. Show people the way. Encourage them if they demur. Treat everyone equally. Be patient and wait for change. It was, in effect, a more elaborate embodiment of what Sykes had practiced in those very early days, when she let the woman with the outstanding loan come back on her own. The draw of the market is it helps people stand on their own two feet – it doesn’t send them off on crutches. In 2014, the Mamas gathered enough money to open the Manchester Avenue storefront. By then, more than 700 households were participating. 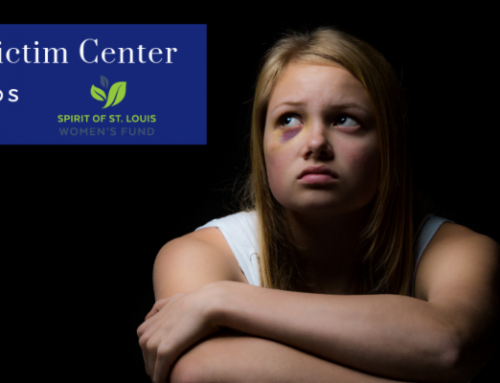 In 2016, St. Francis Community Services (Midtown and the market’s parent organization) was forced to cut the market from its budget. It might have all ended there. But the staff and volunteers who ran the market believed too strongly in its mission. They decided to strike out on their own. On any given day, you can walk in and enter a different world, one that blends old and new in a wholly unique way – just like Sykes’ now famous wraps. You might encounter someone holding up a giant candy roaster squash (it is somewhat like butternut squash, only bigger) and listen to a chatty conversation ensue. For Sykes, it’s been a never-ending adventure watching the original vision of the Mamas come to life in such a vibrant way. “It’s helping people see different things and learn from different cultures,” she said. “You don’t know what commonality you may have with someone else. *Some details may have been changed to protect the identity of those helped by the organization. 618 Creative . Photos by Jason Deem .